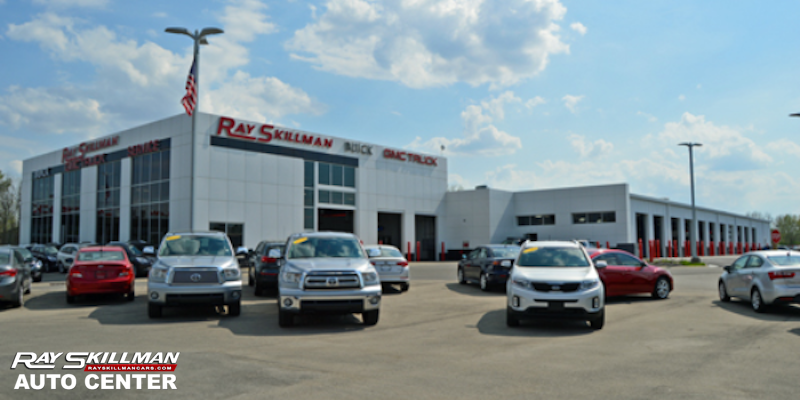 For years, the Ray Skillman Auto Center has been proudly serving the drivers of Indianapolis, Greenwood, and Plainfield. We understand the needs of our customers and we strive to please each and every one; continuing to exceed their expectations mile after mile with our excellent parts and service department. Not Four Anymore – Now, FIVE Brands, ONE Location! At the Ray Skillman Auto Center, we have a wide range New Vehicles to offer, including plenty of new Buick, GMC, KIA, Mitsubishi, and FIAT models. That’s not four, but FIVE brands in one place; all for your convenience! We also have an incredible selection of Pre-Owned Vehicles, including many high-quality options for Under $15,000! If you’re even thinking about shopping for your next vehicle, you’re going to want to take a look at all we have to offer you. Every team member at Ray Skillman Auto Center is dedicated to matching drivers with the right car at the right price, so we also have a skilled Finance Department to provide you with a broad spectrum of flexible financing options and the best repayment plans around. No matter what your credit situation looks like, we have some incredible options for you. It’s so easy to get the ball rolling, you can even Apply Online now, or even get your current vehicle appraised to find its trade-in value. We understand that your schedule can be complicated. That’s why we are open from 9am to 9pm during the week and 9 am to 7 pm on Saturdays. To make sure our Service Department is available when you need them, the Service Center is open until 6pm Monday through Friday; and until 4pm on Saturdays. Our knowledgeable and professional staff is at your disposal for whatever you need. Why go anywhere but the best? After all, you deserve the very best for your time and money. We’re here to put you in the driver’s seat of your experience, every time. Here at Ray Skillman Auto Center, we will give you the best service and the best possible deal we can provide. If you have any questions, reach out to us online now, call at 317-888-9500, or simply stop by. We’re here to make sure you get what you want.